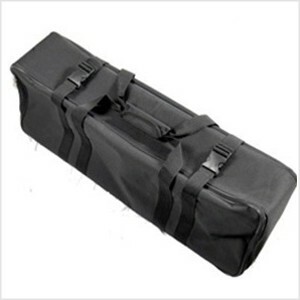 - Size: 31" x 12" x 8"
This Photography Equipment Zipper Bag is the ideal case for your traveling studio. This zippered bag is great for transporting light stands, umbrellas, and other accessories. This zipper bag is made of a very durable material and is extremely light weight and convenient to carry. It is perfect for your studio on-the-go. This is a new large carrying bag for light stand, tripod, umbrellas and other accessories. It is made of heavy duty durable polyester material. # Size: 31" x 12" x 8"